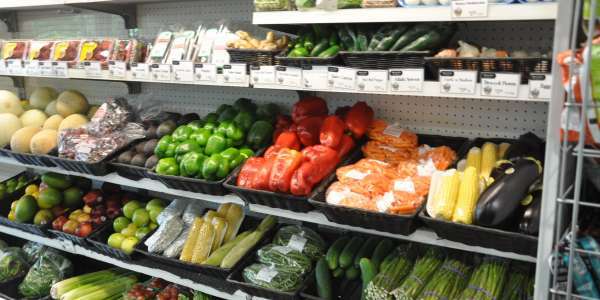 Maxwell’s Market offers a wide variety of specialty foods, groceries, and produce. Crackers, dips, pasta and sauces, oils, vinegar, dressings, wild rice blends and mixes, cookies and sweets, mustards and sauces, marinades and rubs, soups, coffee…the list goes on! We have a large selection of olives, cheeses, pates, and smoked meats and seafood from around the world. Whether cooking for the family or entertaining friends, we have everything you need to complete your meal or party needs! Maxwell’s Meat Department is by far the most “well-seasoned” area of expertise! With many years of combined experience, there isn’t a cut of meat we can’t handle. We offer a full service butcher at each location. Our experienced butchers will be more than happy to help you with your selection, custom cut, as well as marinade and cooking tips. 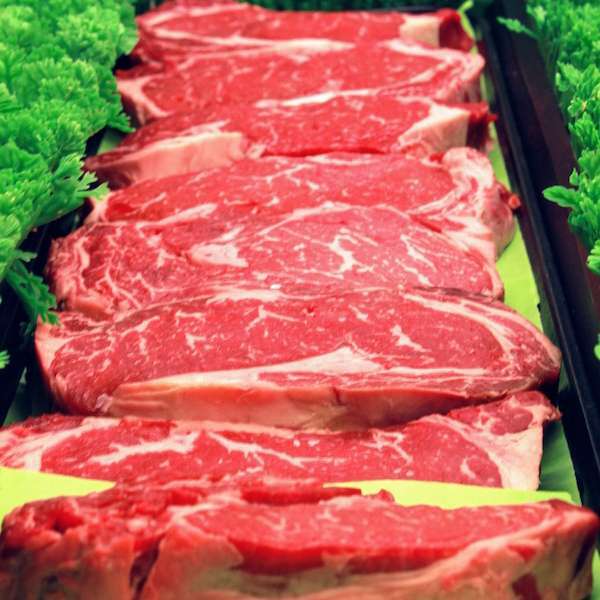 Our Beef… We carry only the finest USDA Prime & Reserve Choice beef available. We have specific requirements for marbling, maturity, and muscle texture, and we age our beef for 21 to 28 days for added tenderness and flavor. And of course, no added preservatives or artificial ingredients are added. Our Pork… We proudly carry only the finest 100% natural USDA Premium Pork … Our pork is hand-selected from the “best of the best” for optimum marbling, firmness and texture, and of course, no artificial ingredients added. Our Chicken…fresh, never frozen, ice-packed chickens are brought in several times a week from farmers here in Louisiana, Arkansas and Mississippi. You can really taste the difference! We carry or special order lamb and veal… Also available – duck, quail, cornish game hens, guinea hens, rabbit, sausages and more. Our selection includes over 300 wines and beers from around the world. We also have a limited, but highly selective assortment of spirits. We offer case and mixed case discounts on all wines and will gladly special order any items that we do not have in stock. Wine tastings are held for your sampling of new wines – just check with us for times or sign up for our email list. Our seafood…we source seafood from the Gulf and from other parts of the U.S. and the cold waters of the coast of Scotland. We get seafood in as many as six times per week and always offer only the freshest products available – depending on seasons and availability. Fresh fish selection may include tuna, salmon, red snapper, flounder, drum, grouper, speckled trout, red fish, halibut, amberjack, sea bass, tilapia, catfish, Mahi, pompano and more. We carry Gulf shrimp, crabmeat, oysters, and crawfish tails. Also available are scallops, clams, mussels, lobster, and more. 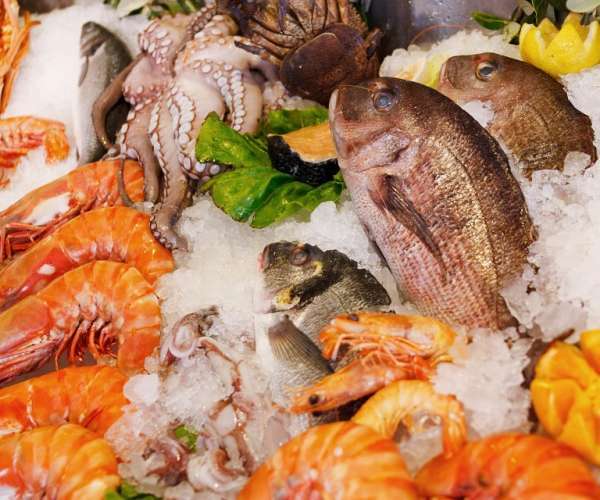 Emphasis is always on freshness, variety, and season; our knowledgeable staff handpicks the catch daily. We also offer many services that go along with seafood; our experts will skin, de-bone, and filet any piece of fish to your liking. We can also recommend cooking techniques and recipes for the beginner to expert levels of chefs. 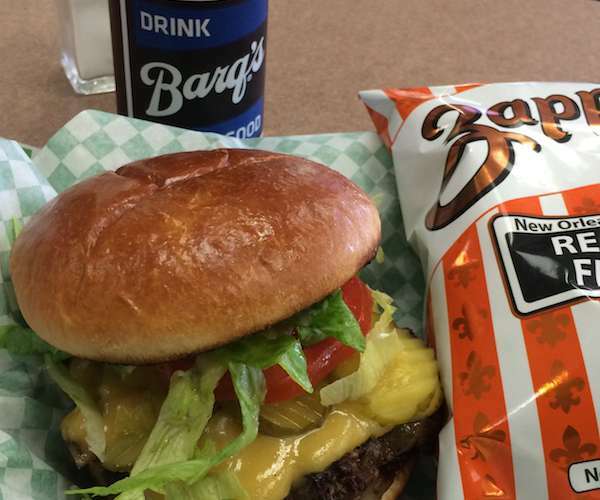 Maxwell’s Market offers a wide variety of specialty foods, groceries, and produce. Crackers, dips, pasta and sauces, oils, vinegar, dressings, wild rice blends and mixes, cookies and sweets, mustards and sauces, marinades and rubs, soups, coffee…the list goes on! We have a large selection of olives, cheeses, pates, and smoked meats and seafood from around the world. Whether cooking for the family or entertaining friends, we have everything you need to complete your meal or party needs! Whether at work, out shopping, or just because you are hungry for something special…Maxwell’s Market offers a great selection of po’boys and sandwiches, salads, soups and daily specials. We use only the finest ingredients including Boar’s Head Deli meats and cheeses. Eat in or take it with you. Maxwell’s Prepared Foods Department features an array of freshly made dishes, both classic and current. With the purest ingredients and time-honored recipes, Maxwell’s is sure to have your taste buds tingling, while you manage your kitchen at home—spotless. Our home-made foods…whether it is our shrimp salad, beef kabob, stuffed chicken breast, or one of our famous dips, we use only premium ingredients in all of our recipes. We do not add artificial ingredients or preservatives. We offer a variety of items all ready for the oven or the grill. They are seasoned or marinated and require little effort, other than cooking at home! The fresh salad selection may include chicken salad, shrimp salad, tuna, potato, corn & black bean, Greek pasta, Caesar, and Italian tomato salad. We have grilled veggies, marinated asparagus, roasted potatoes, and too many more to mention – our Chefs are always adding new creative dishes to the selection. 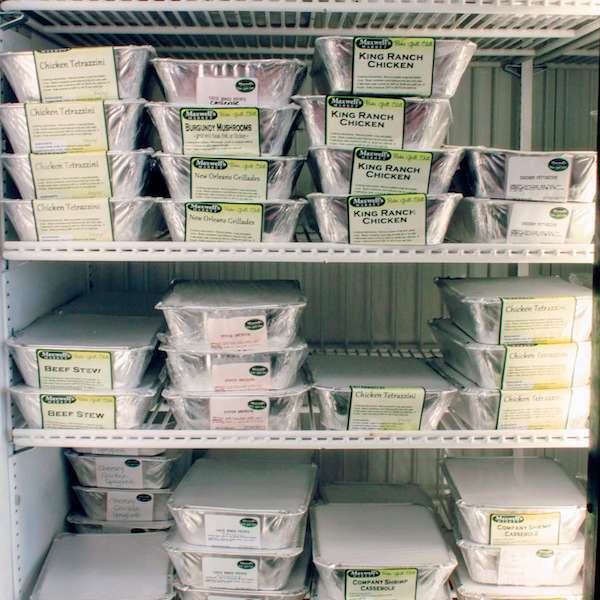 Our entrée case includes grilled chicken breasts, crab cakes, stuffed Portobello mushrooms, soups and gumbos, stuffed potatoes, lasagna, eggplant and chicken parmesan, grillades and grits, creamed spinach, scalloped potatoes, quiche, dips and much more.